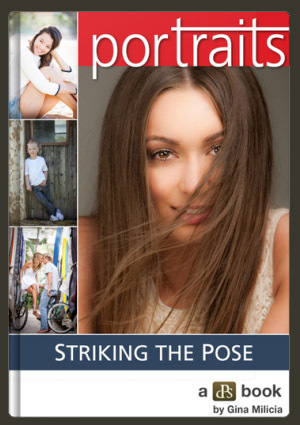 Start with these 3 portrait poses for individuals. 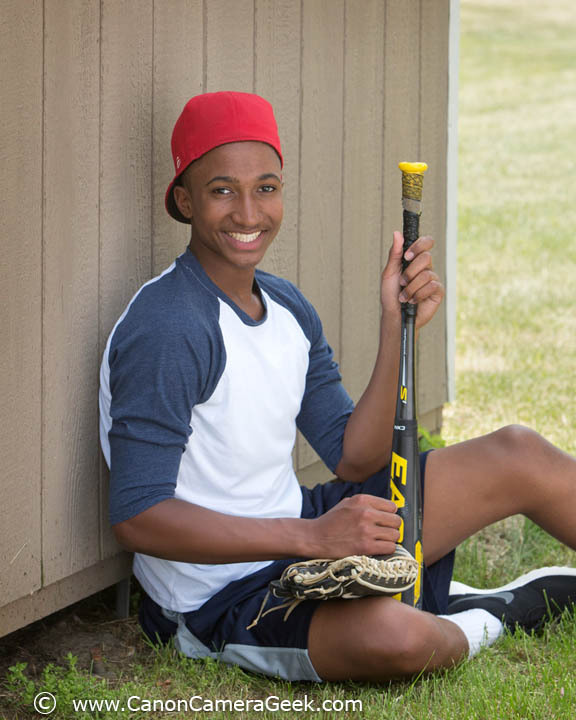 Even using just a few tips on portrait poses can make a big difference in the quality of your pictures. Check it out. Just copy these poses and use them to your advantage. Get the tilt just right. 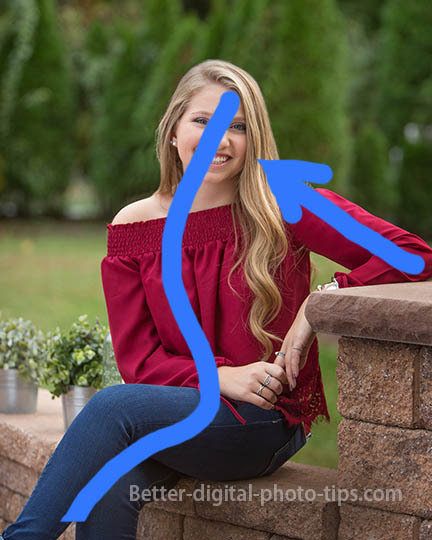 One of the biggest and most common photo mistakes that many photographers make when posing people is having their bodies facing directly at the camera. When your subject faces their body and head straight at the camera, we call it the "soldier pose." Diagonals create a path for viewers eyes to move. It's fine for the stoic, patriotic look of a military or law enforcement portrait. It's not the most pleasing photograph for having the subject of your photograph look their best. Take a look at the individual posed portraits in this article. Have your subject turn their body 30 to 45 degrees to one side. Then have your model turn their head back toward the camera. Choose to hold your camera horizontal or vertical. In this masculine portrait of this athletic male, I had him cross his arms across the back of the kitchen chair. I chose to photograph him using a horizontal (also called landscape) composition which then made his arms serve as a framing device, creating a base at the bottom of the composition. Notice that in this portrait pose his body was turned to my right and his head was turned backed to directly face the camera. This pose, combined with his hand formed in a fist, makes it a classic masculine pose. 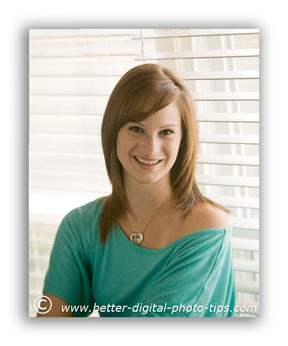 The next photography tip involves using a little tilt of the head. Understand that adding just a little tilt of the head in one direction or another can have a big impact on your portrait pose. 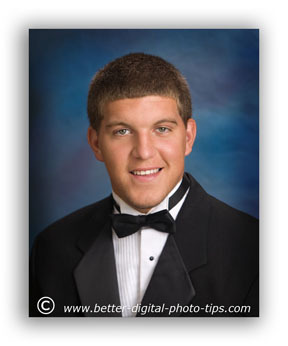 In this tuxedo portrait, my subject is tilting his head forward just a little. This is the classic masculine pose. Take a quick look back at the photograph of my female model at the beginning of this article. Notice how her head is tilted slight back. This is a feminine pose. At this point you may be calling me a chauvinist. Now just stay here with me for a second. If you had a chance to read some of my other articles on this photo tips website, you'll know that all of these tips for taking digital photography are meant to be used as guidelines. Learning some of the classic rules of posing will help you improve your photography. Remember to use the rules and then break them as well. Experiment and fun using your creative talents to sometimes break some of the rules of composition and posing. Portrait Photography Guide. This articled covered portrait posing for traditional inside studio photography only. 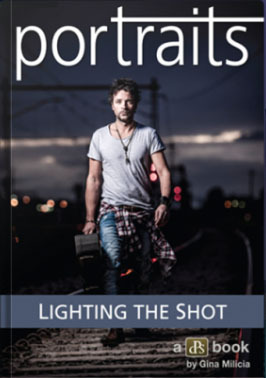 For a less-traditional, more creative approach, this down-loadable guide on portrait photography has a large variety of creative poses to learn some great tips and techniques. 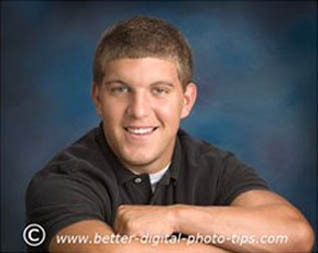 If you enjoyed this article you may also be interested in one of the following topics related to tips about family portrait ideas and poses. Shoot more portraits. Shoot better portraits. Photography poses for groups. Want to learn some tips for photography poses of groups? This article has tips for posing groups of 3 people and has links to several other articles on posing other group sizes. In the high school senior portrait above, I had my pretty model sit on the back of the sofa which was sitting right by a big window which served as a beautiful natural light source. I had my subject's mom hold a 3 x 4 foot lightweight piece of white foam board off to the left to bounce fill light back into the shadows.